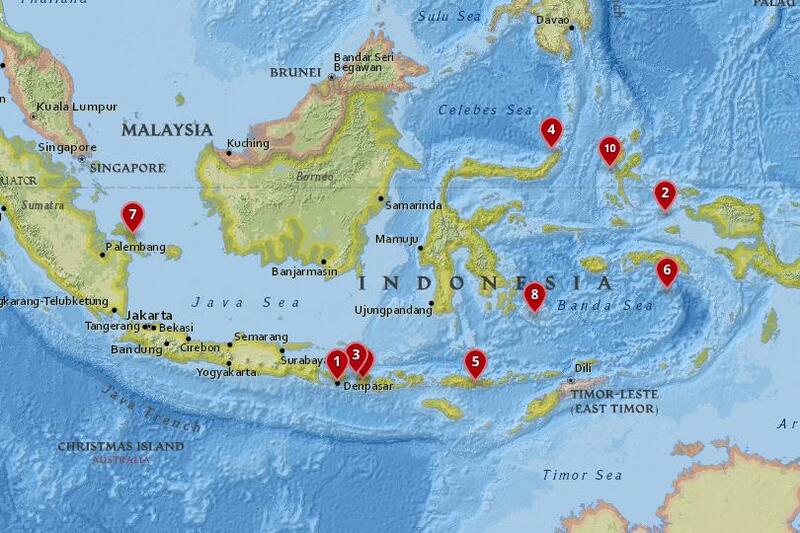 Between the Indian and Pacific Oceans, and directly over the Equator, is the nation of Indonesia. The country is home to a staggering 18,000 different islands. 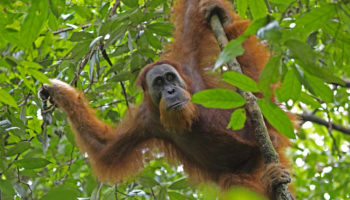 The most well known islands like Java, Sumatra and Borneo are among the biggest in the world, but the smaller ones are also well worth a visit. While not all of them are inhabited, more than 6,000 are. These islands are home to gorgeous beaches, stunning volcanoes, some of the world’s best diving destinations and exotic cultures. If you’re planning a trip to the largest archipelago in the world, these are the best islands in Indonesia you’ll most want to explore. The Maluku Islands, once known simply as the Spice Islands, were the only place on earth where nutmeg, mace, cloves and several other valuable spices were grown. Today, they are largely off the beaten track for visitors. 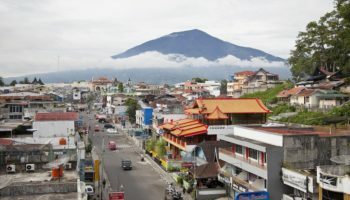 One of the most intriguing of the Maluka Islands is Ternate, a small island that is now the provincial capital. Since Ternate once had such a lucrative spice trade, the island is home to several fortresses, many of which are now in ruin. History enthusiasts will definitely want to tour Fort Oranje, built by the Dutch, and Fort Tolukko, which was built by the Portuguese, Dutch and Spanish. There are also plenty of beautiful places to swim, including the clear waters of Sulamadaha Beach. Dominating Ternate is the Volcano Gamalama, which erupted as recently as 2011. 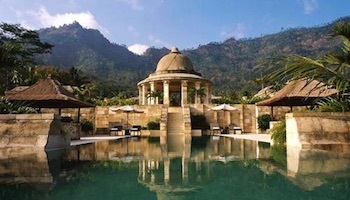 Just east of Bali is a lesser known, but no less beautiful, island called Lombok. The island is very popular with travelers, and it is home to several small cities. The largest city, Mataram, is where you can find the stunning 18th century palace of Taman Mayura as well as the Taman Narmada, a Hindu temple turned park where local residents, travelers and even kings all come to unwind and relax. Lombok is also home to Kuta, a thriving beach destination where surfing is the biggest pastime. 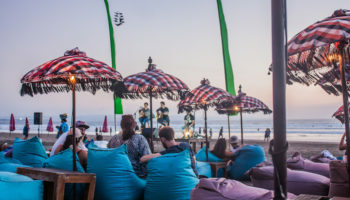 Kuta is a backpacker’s paradise, featuring incredible beaches and a laid-back, welcoming atmosphere. In the far southeast corner of Indonesia is the Sulawesi Tenggara Province, which is home to the Wakatobi Islands. This small archipelago is known for one thing in particular: Diving. The Wakatobi Islands are regarded as one of the top diving spots in all of Indonesia, yet it is far less crowded than some other tourist destinations. Many of the local resorts and hotels cater directly to divers, offering deals that combine frequent diving trips along with accommodation. Two of the best spots in the Wakatobi archipelago for diving include Pulau Tomia, known for its marine life, and Pulau Hoga, known for its colorful coral reefs. Just off the coast of the major island of Sumatra are the Bangka-Belitung Islands. These islands are a fantastic place to visit if you’re looking for some of the best beaches in the world. Many of the beaches are miles long, largely uncrowded and boasting pristine white sand along with clean, clear water. You can also explore some of the many Dutch lighthouses, most from the 19th century, that were constructed when the islands were part of a much larger trade route. Dutch colonial buildings throughout the islands also hint at the region’s past. In South Maluku are the Banda Islands, an archipelago that is best known for its production of spices. 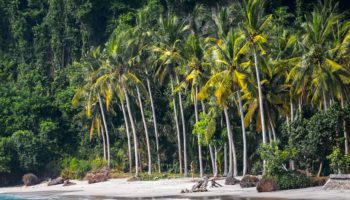 Nutmeg, in particular, put the Banda Islands on the map in centuries past. The Banda Islands have been under Portuguese, Dutch and even British control in the past, creating a unique culture. Don’t expect shopping malls or major attractions on the Banda Islands, but do expect some phenomenal scenery and outdoor recreation. Popular pastimes including hiking Gunung Api, the tallest peak in the archipelago, snorkeling out at sea and dining on Ikan Bakar, or freshly caught and grilled fish. One of the Lesser Sunda islands in Indonesia is called Flores. Portuguese for flowers, the island is undeniably one of incredible scenic beauty. 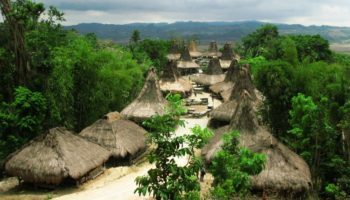 While the island offers plenty to do, see and explore in its own right, it is best known for being a gateway to Komodo Island. Flores’ Labuanbajo is a common spot for ferries to pick up passengers headed to Komodo National Park, where it is possible to see Komodo dragons in their natural habitats. On Flores, the most fascinating attraction is the collection of crater lakes on Mount Kelimutu, which change color frequently thanks to mineral and chemical alterations due to volcanic gas. Off the far northeastern tip of Sulawesi is Bunaken, home base for those who want to explore the Bunaken National Marine Park. When you discover that this marine park is home to a staggering 70 percent of all the fish species in the Indo-Western Pacific Ocean, it is easy to see why Bunaken is such a popular spot for divers and snorkelers. By and large, the diving spots are geared toward advanced divers with strong swimming skills. However, increasing in popularity is snorkeling in the shallower coral reefs closer to the shoreline. After a day of activity, be sure to try the local liquor, a form of distilled white wine served with lemon and known as Cap Tikus. 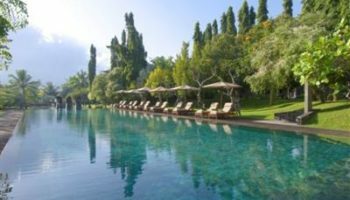 One of the most popular tourism destinations in all of Indonesia is the place known as the Gili Islands, which are located just off the coast of Lombok. Once a mecca for backpackers eager to get off the beaten pack, the Gili Islands are no longer a secret travel spot. The largest of the Gili Islands, Gili Trawangan, is the perfect place to try scuba diving, relax with a week-long yoga retreat or go surfing. The island of Gili Meno is known as the most romantic of the Gilis, and it is popular with couples on their honeymoon. The third island, Gili Air, is wildly popular with serious scuba divers who want unparalleled conditions without big crowds in the water. In the Papua region of Indonesia are the Raja Ampat Islands. Although there are over 600 individual islands that make up Raja Ampat, the four major isles are Waigeo, Misoo, Bantanta and Salawati. These islands are known for their biological diversity, making it a top spot for scuba divers, snorkelers and bird watchers. In Raja Ampat, you can spot rare birds like the Cendrawasih and Wilson Birds of Paradise. These islands are also home to spectacular beaches, with shallow blue waters and fine white sand. 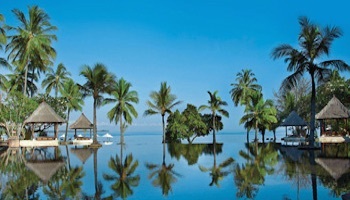 Lagoons provide protection from the wind and a special place to relax in paradise. Also popular on the islands is living with locals and learning local crafts and skills. 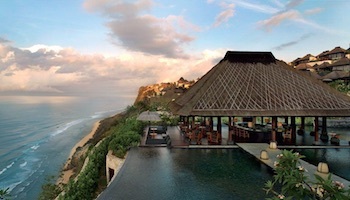 Bali is by far the most popular and globally known of the Indonesian islands. Although it can get crowded here during the high season it remains one of the best islands in Indonesia to visit. 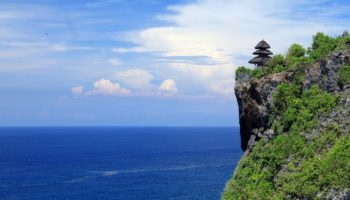 Also known as the Island of the Gods, Bali boasts a varied landscape, incredible beaches and an intriguing Hindu culture. One of the most interesting spots on the island is the town of Ubud, home to forests filled with monkeys, artists and galleries. While in Bali, you can explore Hindu temples, hike around the foothills of the active volcano called Mount Batur or see the traditional rice terraces still farmed by local residents. 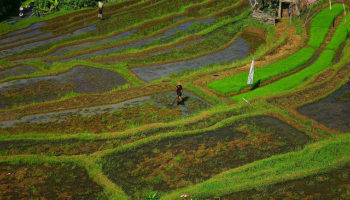 If there is an outdoor sport you can imagine, it is likely available in Bali. Surfing, kayaking, fishing, yoga, and diving are just as few of the countless pastimes you can enjoy on the large, scenic island of Bali. Which islands in Indonesia do you consider to be the most beautiful? Indonesian islands are the best in the world. East is best.Old and fascinating.